The season of scare is upon us, and what scares me most is the fact that I am always running on a clock that is ahead of me, leaving me behind! I put on my witches cap (some say I wear it all the time, lol!) 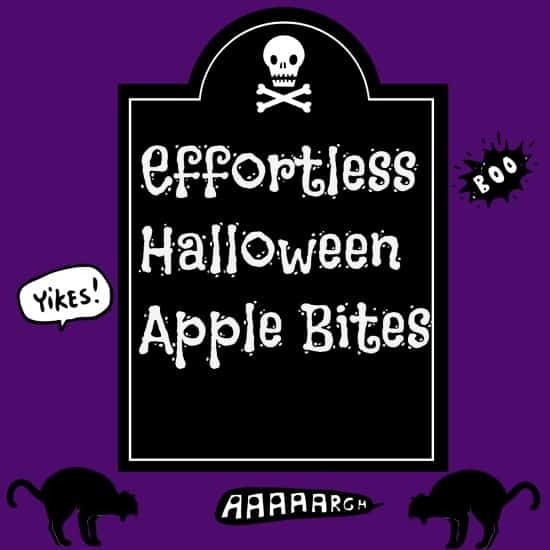 and create an effortless Halloween Apple bites snack. I place the easy prep snack into my little cauldron for all the little ghouls and goblins to munch on. 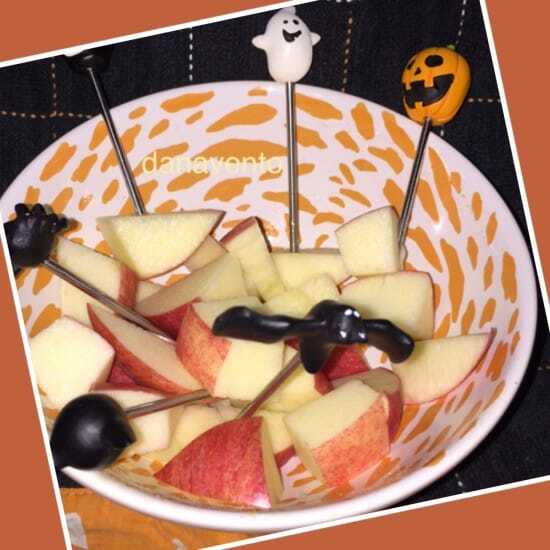 The Effortless Halloween Apple Bites snack is really easy to prepare, and clean up is a snap! Are you ready to learn how to create effortless Halloween Apple bites you will love? This is my story of how I brewed up an effortless way to serve up apple bites while I work my cadaver to carve up some delicious treats! I will start this off by saying, this snack if created, is not for YOUNGER kids that could poke themselves, this is for the older kids that understand that picks are not toys (could someone tell me older sons that, lol!). Anyway, before you can even create this little snack, you need these festive picks, that you can find online or at your local craft stores, grocery stores or favorite large retailers! Admittedly, sometimes it is not rocket science that creates ingenious snacks, rather a lack of time and the way to celebrate the season, but not have to go to great lengths to do so! 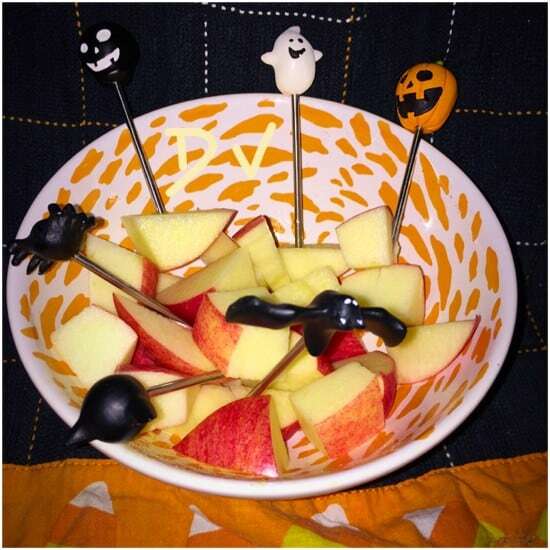 This effortless Halloween Apple Bites snack is just that, as it keeps it healthy and shows a little-spirited side! Add the Apple Bites to the Bowl. Can you believe that effortless Halloween Apple Bites idea? I was so thrilled when my kids said that it was pretty cool to eat apples off of the Seasonal Picks I thought I would share! That’s my story of how I brewed up an effortless way to serve up apple bites while I work my cadaver to carve up some delicious treats! What special snacks do you create for Halloween?